** Family Home and Business opportunity ** Set at the foothills of the Preseli Hills, with breath-taking views across the landscaped garden towards Rosebush Reservoir, The Old Coach House offers a range of possibilities – lifestyle change, multi-generational living and business potential – to name a few. The revenue streams from two-holiday cottages and two log cabins, which are already successfully in place. If business is not what interests you, it is also a perfect family size home, situated within a rural community with local amenities only a two mile drive away in the village of Maenchlochog. The coach house is a substantial detached property, dating back to the 1800’s, which has been sympathetically renovated to provide stylish country living, combined with a quality of finish expected of modern day living, with double glazed windows, oil central heating, wood burner in the lounge and family size rooms. Externally, the property is set within approximately 4.5 acres of lovingly tended grounds, the gardens of which have been beautifully maintained, and only compliment the long grass meadows and wild woodland surroundings; a true celebration of nature at its best! The lawned grounds have been secured and well kept, with picnic tables and benches perfectly positioned for guests to make the most of the spectacular natural surroundings and enjoy the views merely a stroll away from their accommodation, making this location hard to forget. The Old Coach House offers a range of opportunities, from business potential to living the good life in the Pembrokeshire countryside, therefore viewing is essential to fully appreciate how special this opportunity is. Rosebush is a quiet, rural village set a short distance from the Preseli Mountains, an area of outstanding natural beauty within the Pembrokeshire Coast National Park and an ideal destination for keen walkers. The village once had two slate mining quarries, and a railway line, which origianlly ran through the land of The Old Coach House. The old station house has now been converted into the well known public house, The Tafarn Sinc, and this is within walking distance of the property. To the front of the property, the village red telephone box has been utilised as a tourist information centre, with community board, contact numbers and leaflets for tourists and a library book sharing scheme, embodying the local community spirit here. The market town of Haverfordwest lies 11 miles to the south and has numerous facilities and amenities on offer, which include a good range of shops, retail parks, primary and secondary schools, sixth form college, hospital, main line train station, new leisure centre/swimming pool, cinema, restaurants, pubs etc. The beautiful Pembrokeshire coast is 17 miles to the west, at the famous surfing beach of Newgale, with the Pembrokeshire Coast Path giving miles of wonderful walks, on which to enjoy the stunning coastline, wild flowers and birdlife, and the town of Newport only 9 miles to the north. The Old Coach House offers family sized living accommodation, with the benefit of modern convenience and the charm of character features throughout. The initial garden room is a light and welcoming space, with natural light from the skylight above and picture window looking out to the garden and reservoir views. Doors lead to a convenient WC, store cupboard, sun room with further windows to enjoy the view, and double doors into the kitchen. The kitchen offers cottage style base and eye level units, with integrated hob and ceramic sink, and space for a further dresser, tall fridge/freezers and central breakfast table. With doors leading to both the dining room and lounge at either side, this feels like the heart of the home. The lounge is of a generous size, yet the exposed stone wall and warm decor creates a cosy atmosphere, with the feature log burner easily able to warm this spacious room. There is integral access into Ramsey cottage to the rear of the lounge, which could be ideal for multi-generational living and integral use. The dining room comfortably holds a dining table for eight, with further room for furniture, dual aspect lighting and stairs leading up to the first floor. The landing space lends itself to a communal family area, ideal as a computer/study area or overflow accommodation for guests coming to visit. The original roof-joist ledge is a character yet convenient feature, providing a full length display shelf running alongside the landing. The first floor offers a double airing cupboard next to the family bathroom, providing both a corner shower cubicle and bath, and a shower room with double cubicle at the end of the landing. In between are three bedrooms, two of which are double rooms with wardrobe space, and the third with fitted storage and room for a single/bunk bed. As soon as you enter the gravel driveway to the side of The Old Coach House and walk towards the main entrance, the glimpse across the garden towards the reservoir beyond captivates your attention. The raised patio seating area provides space to sit, relax and enjoy the view of vibrant flowers and mature shrubs bordering the manicured lawn, which stretches down towards the picnic seating area, another prime location which has been taken full advantage of to enjoy the views over the glistening water of Rosebush reservoir. The boundaries of the property and lower lawned area have been secured with fencing to provide a safe environment for children and pets, with gated walkways towards and through the wooded areas and long-grass meadow. Beneath the canopy of trees, the walkways take you comfortably to each cottage and cabin, with a gravelled track and access from the road to each. To the rear of Grassholm log cabin and a short walk to Skomer Cottage, there is a car park area for approximately 8 cars with convenient gated access onto the B4329, and a second gravel parking area with access to the B4313 which serves Skokholm cabin. The main Coach House and Ramsey cottage both have access to the gravel driveway to the side of the main property, with easy access to the workshop for storage and utilities. Skokholm is a one bedroom, cosy log-cabin, situated in a very secluded, woodland spot within the grounds: the perfect, romantic retreat. Its three sets of French doors connect its homely interior to the south-facing veranda and the natural world beyond. The accommodation offers electric radiators and comprises: Open plan living area, Dining Area, Kitchen Area, Double Bedroom and Shower room. Tucked away amongst the mature woodland, next to a trickling mountain stream and a short walk from the sight of shimmering blue water in the distance, this two bedroom log-cabin, with a host of comfortable soft furnishings and modern conveniences, ensures getting back to nature has never been so easy. 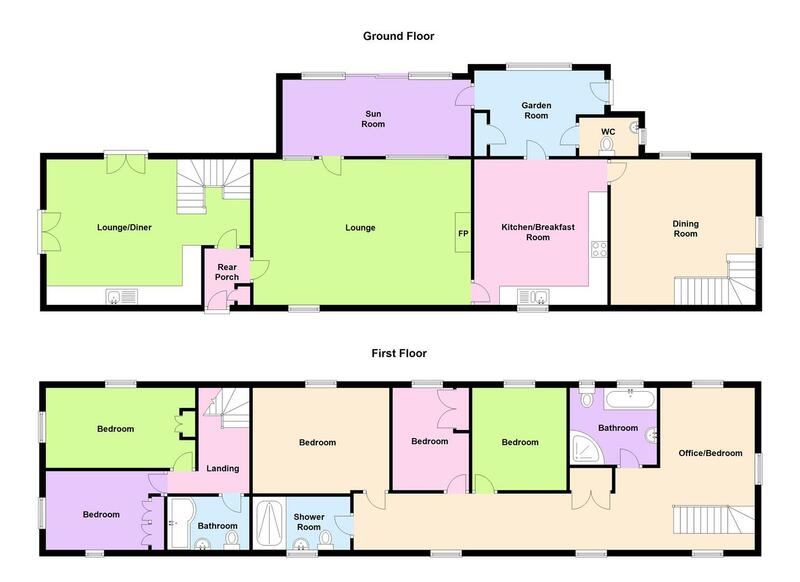 The accommodation briefly comprises Open plan lounge/dining/kitchen area with French doors opening onto the veranda, two bedrooms (double and single) and bathroom. This tasteful one bedroom cottage enjoys stunning views of Rosebush reservoir and is set within immaculate, landscaped gardens. 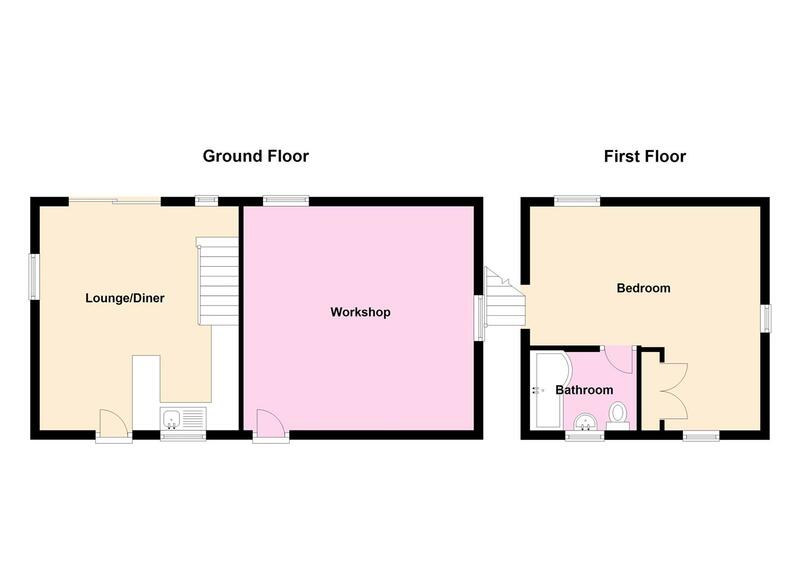 The two storey accommodation briefly comprises open plan lounge/kitchen/diner with French doors leading to a private patio on the ground floor, with King Size Bedroom and Bathroom on the first floor. This delightful two bedroom cottage has been sympathetically and attractively converted from an old barn adjoining the Coach House. It retains its character with feature stone walls and sloping ceilings while providing all the comforts and conveniences needed for a relaxing stay. The French doors take advantage of the fantastic view across the landscaped gardens to the reservoir and surrounding hills. The accommodation offers oil central heating and briefly comprises open plan lounge/diner and kitchen on the ground floor, with two bedrooms and bathroom on the first floor. Please note we are advised that this property is served by private drainage. The present owners have been in ownership since 2007 and currently use two agents to promote the holiday business, West Wales Holiday Cottages and Wales Cottages, coupled with their own website www.preseliholidays.co.uk. Visit Wales has rated the two cottages as 4* and the two log cabins as 3*. Trading information can be provided to bona fide purchasers. Current occupancy levels are in excess of 60%. The cottages and log cabins are offered for sale including all fixtures and fittings, furniture and soft furnishings to enable continuous operation of the business. Also included is the website with online booking system.